I eat 9 to 12 Servings of Fruit & Veggies On The 5&1 Meal Plan… How? Juice Plus. Before you scroll down to watch the incredible eatable Mexican Fruit Cup. Let me tell you how I have been getting 9 -12 servings of fruit and veggies every day while on the 5&1 Meal Plan. 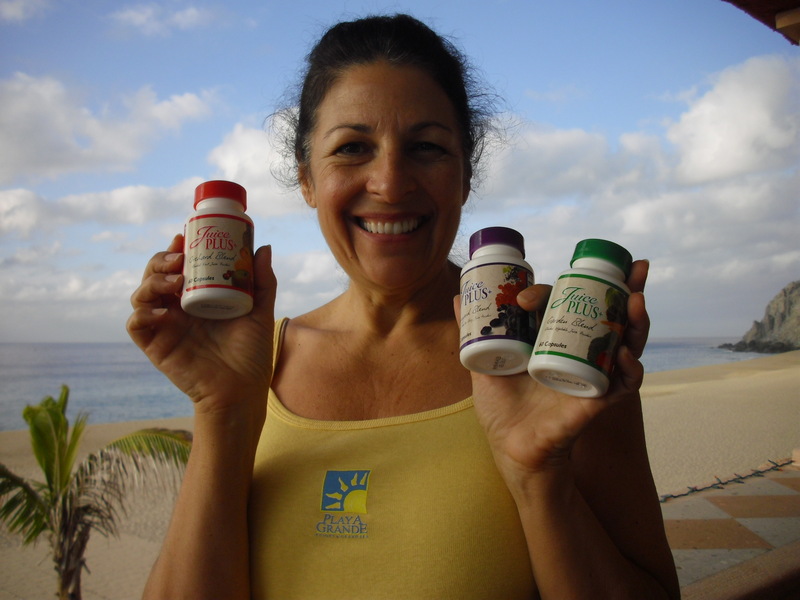 “JUICE PLUS” It’s 100% natural – and with out all the calories or messing up my blood sugars. I get all the Fruit and Veggies recommended daily in capsule form. I just love it! I won't leave home with out my Juice Plus! Now check out the videos below for a mind-blowing taste extravaganza! This entry was posted in Joyce's Blog Notes and tagged Juice Plus. Bookmark the permalink.